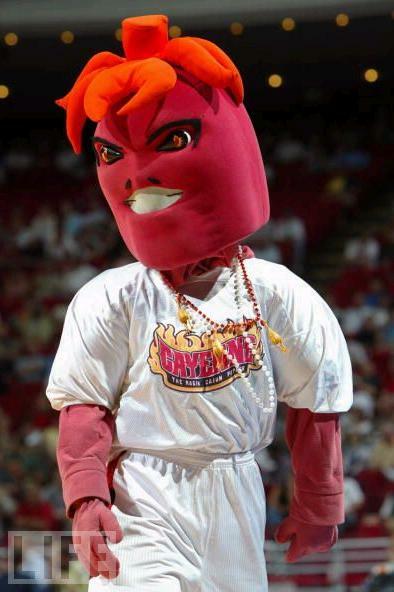 The mascot is a color. So what's this green thing? And what's he doing? And do the girls know that he's doing it? Wasn't this guy in that movie, Heat? 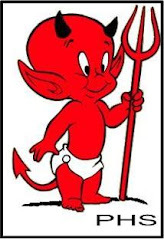 It's creepy enough to want a devil for a high school mascot. But then put a diaper on him? What is that? 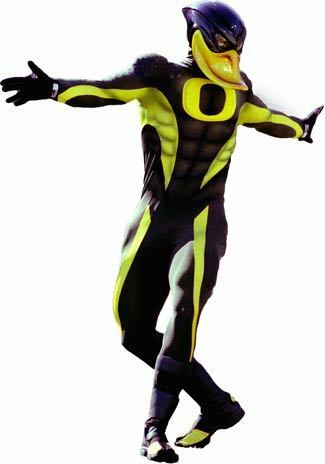 I'm wondering why a high school mascot is packing heat. He is really scary. And he doesn't look like a frog. They don't have any officially sanctioned sports teams, so I guess that gives this pickle its excuse. I would be more intrigued by a big old fried pickle than a fighting one. This guy's got big balls. For a duck. Or a clam. Or a pickle stuck in a clam. Whatever he is, I'm sure he's got big balls.